I think they’re especially sweet in kid’s spaces! I love buffalo check! I just scored some navy buffalo check panels at Pottery Barn outlet for $30! Can't wait to put them up in my son's big boy room! Love your blog! 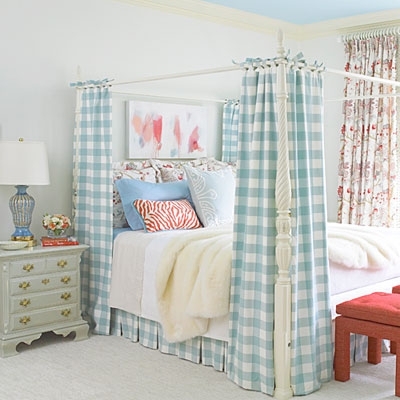 TOTALLY love this, gingham is the best, I even have a Pinterest board just for it! Love this post with the gingham. I started a Pinterest board with it too. I especially loving it on kids right now. My son wore a gingham shirt for Easter and it just looks so cute and a bit retro. 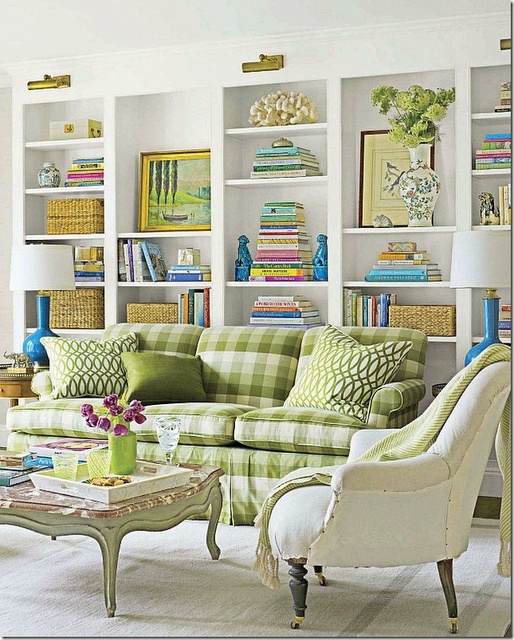 Not a fan of the pattern but I love the way that bookshelf was styled. The combination of art and baskets…and of course books, is beautiful. Beautiful. Any idea where these images came from? Especially the bookcase.